The toys and games market comprises a wide range of products, including art and craft, building and other learning and hobby sets/toys, dolls, jigsaw, board and card games, action figures, die cast models, soft toys and outdoor games and sports toys/games. 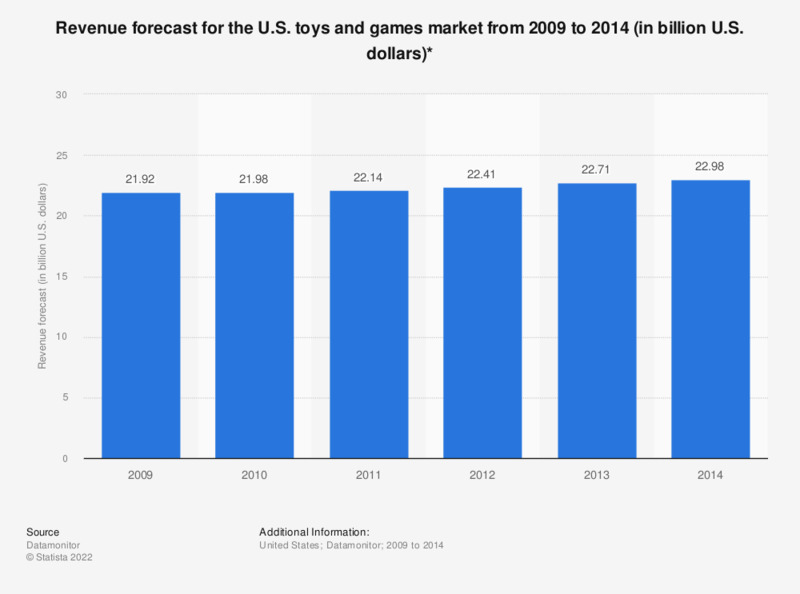 Traditional toy sales are suffering due to the growing popularity of the computer games market; however, this is somewhat balanced by a constant demand for infants’ toys. Toys and games are not necessities but rather viewed as a treat of which frequency and cost is dependent on the affluence of the buyer. Grandparents of the baby-boomer generations are generally wealthier than in previous generations, especially in developed nations, and are able to spoil their grandchildren to a greater extent. The popularity of many toys and games is short-lived and/or seasonal, which means the retail market is subject to rapid change. It is becoming increasingly challenging for independent toy stores to compete with mass merchandisers and department stores, as these types of stores are able to exploit economies of scale to offer low prices. However, the biggest threat and the most significant substitutes to the toys and games market are computer games. Children are playing computer games at a lower age in an increasingly digital world. Consoles, PCs and mobile phones are playing an ever growing part in children's lives by providing games, education and entertainment. Despite not providing a cheaper alternative on the whole, computer games are becoming more popular to the detriment of traditional toys and games where customer loyalty is low with no switching costs. The toys and games market is generally fragmented, with numerous retailers present, boosting the competition within this market. Some market players are highly dependent on revenues from toys and games sales, with department stores and supermarkets being less dependent than specialized toy stores, due to the variety of goods on offer. * The toys and games market consists of total revenues generated through the sale of activity toys, dolls, games and puzzles, infant/pre-school toys, plush toys, ride-ons and other toys.